Polishing shoes is an art, and the time that we dedicate to maintaining them, is a ritual. Cleaning and polishing is not the same. It’s time to wear leather shoes, they protect us from the cold. But keep in mind, that if you rescue your leather shoes from the closet, no matter where you go, they have to look prefect. We are going to explain how! When we polish our shoes, not only make our shoes shine, we moisturize and waterproof the leather too, lengthening the life of the shoe. For this reason, it is better to invest in high quality shoes than throw away shoes every season. 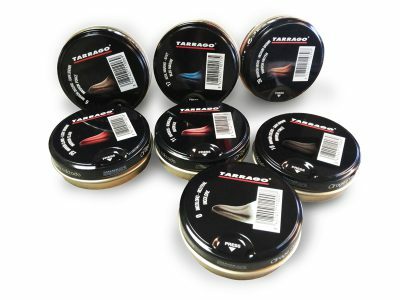 Tarrago brings you the New Shoe Polish, now available in a 50ml and in seven colors: neutral, dark brown, bordeux, navy, black noir, light brown and medium brown. 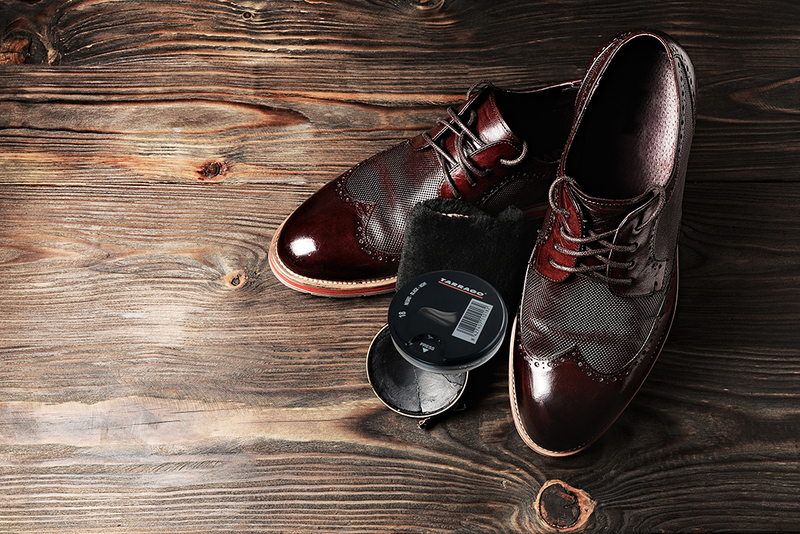 The Shoe Polish it is a pigmented wax‐based polish made with three types of natural waxes. It contains beeswax, which nourishes and softens the leather; carnauba wax, which provides a lasting shine and ensures waterproof protection; and mineral waxes, to help the waterproofing and protection of smooth and synthetic leather. 1. 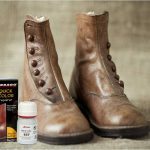 Spread a medium‐thick layer of polish paste over the area of the shoe to be spit shined. Let dry for 5 or 10 minutes. 2. Wrap a soft clean cloth around your index finger, it will smooth the wrinkles. Alternately, you can use a cotton ball. Dip the cloth ball into a water container. The cloth should be wet, but not dripping. 3. Buff the shoe by using a circular motion with the cloth, until the wax starts to become shiny. 4. Still with the damp cloth on your finger, apply a fine layer of polish and keep rubbing lightly in a circular motion until a hazy shine develops. Keep on applying THIN layers of polish with the damp cloth/cotton, buffing them in the same way. 6. You will see that it leaves a very good result and from now on, everyone will notice you!